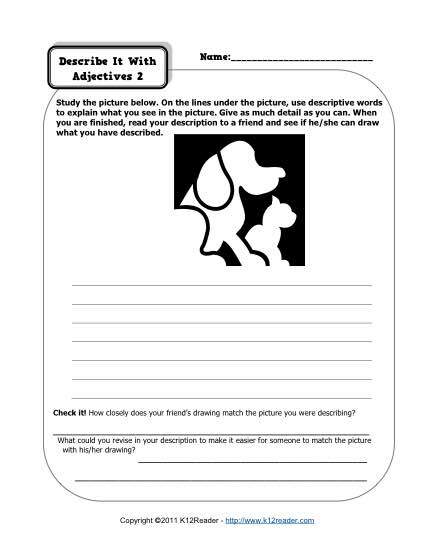 In this worksheet, your student will write a description of a picture. Another student reads and guesses what the picture looks like. It’s great adjective practice and is useful for Common Core Standards for 2nd grade Conventions of Standard English. It may also be used for other grades as necessary.